Treat your precious pooch to the meaty bliss of Beggin' Crunch Chicken & Bacon Dog Treats. 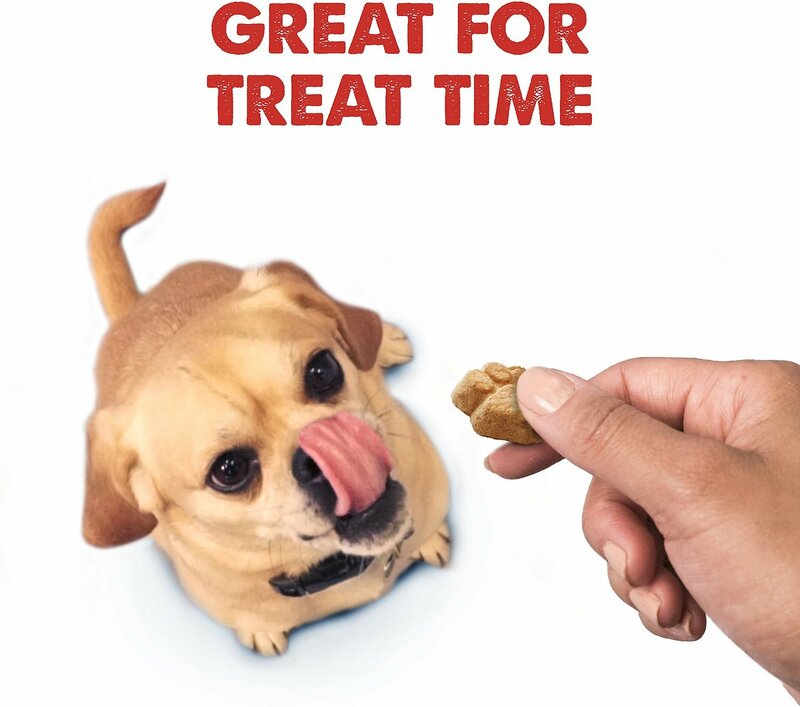 Purina combined the crispy crunch of a biscuit with the lip-smacking, meaty flavor of Beggin’ for a tasty treat that says “Bye-bye!” to boring biscuits. The very first ingredient in these natural, limited-ingredient snacks is real chicken, along with smoky bacon, for a mouth-watering flavor that’s sure to satisfy your pup’s cravings. These wholesome, paw-shaped bites deliver a scrumptious taste and offer a mouthwatering way to show him you care about his happiness. Combines the mouth-watering, meaty flavor of Beggin’ with a crispy, crunchy biscuit to create a new taste sensation. 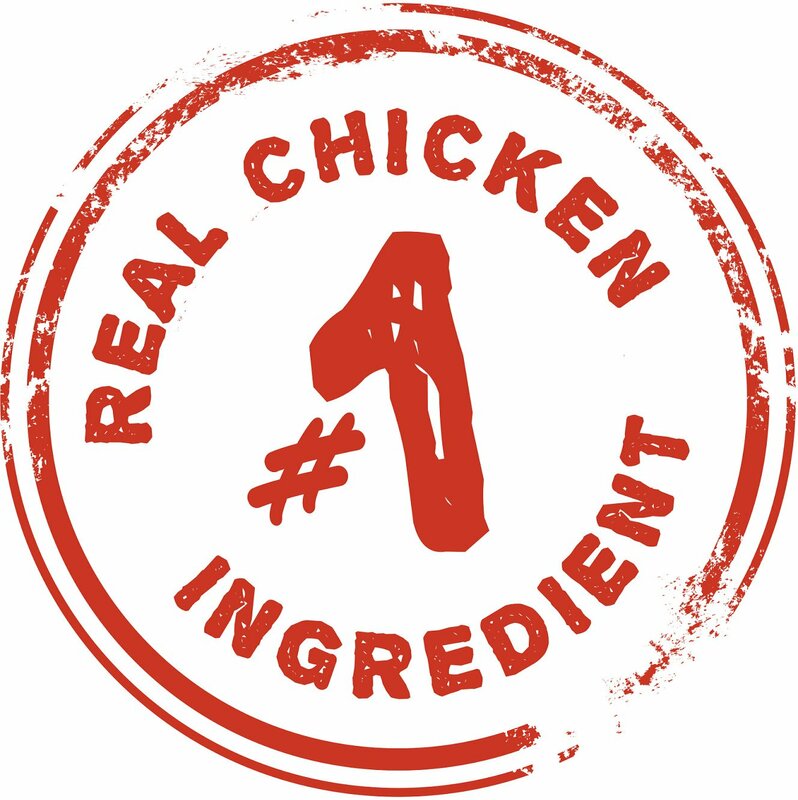 Real chicken is the very first ingredient for a savory, smoky flavor that’s sure to satisfy his cravings. 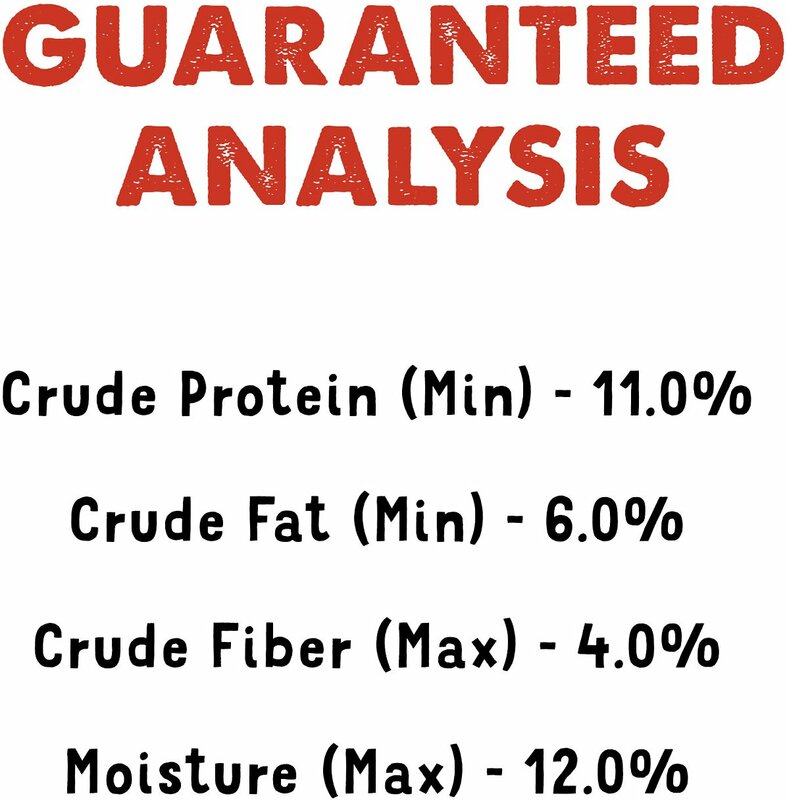 Natural dog treats are made with limited ingredients for easy digestion and are ideally suited for sensitive tummies. Crunchy paw-shaped bites are a great way to treat your pal in between meals. 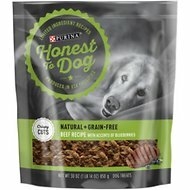 Proudly produced in the USA in a Purina-owned facility using high-quality ingredients for a mouth-watering Beggin' taste dogs love. 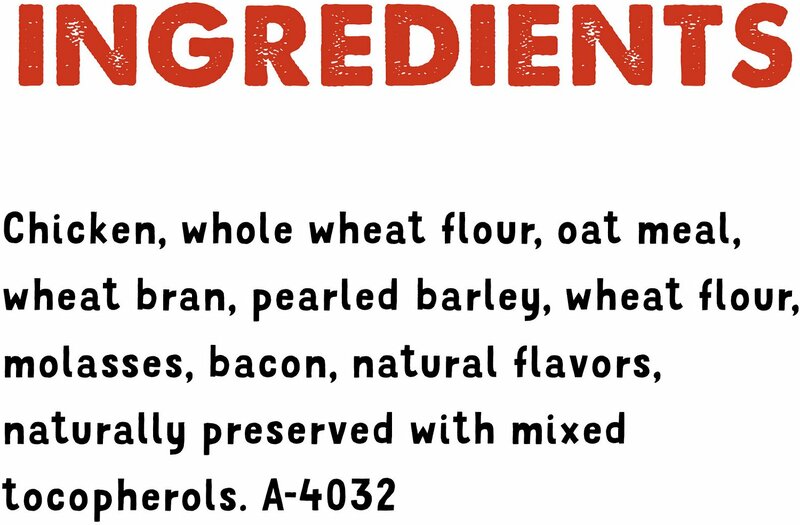 Chicken, Whole Wheat Flour, Oat Meal, Wheat Bran, Pearled Barley, Wheat Flour, Molasses, Bacon, Natural Flavors, Naturally Preserved With Mixed Tocopherols. A-4032. Feed as a treat to your adult dog. This product is a treat and is not intended to be fed as a meal. Feed 1 treat for each 10 pounds of body weight, not to exceed 5 treats per day. 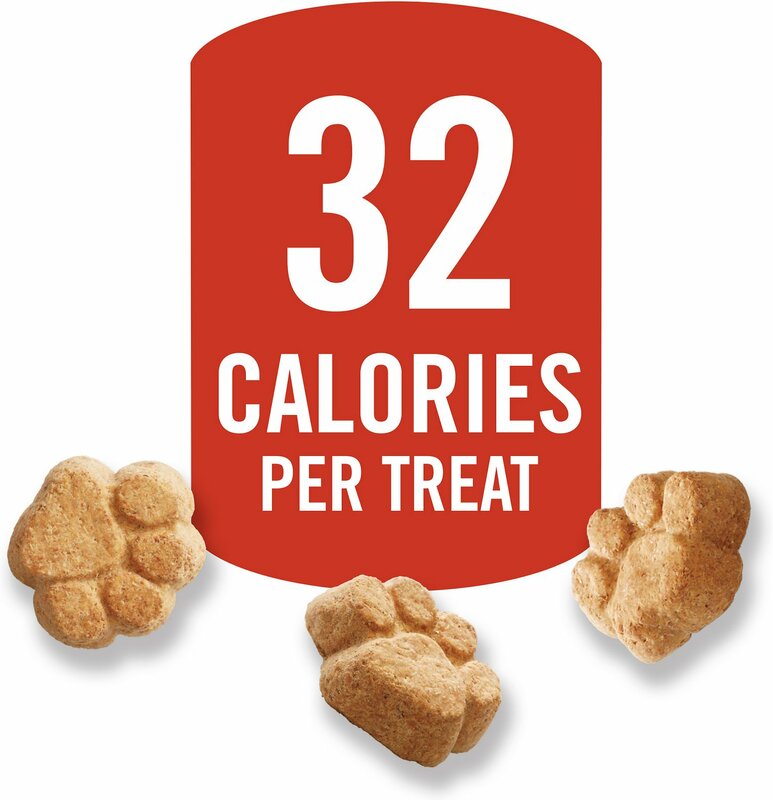 The caloric intake from treats should not exceed 10% of a dog's total daily caloric requirement. If treats are given, the amount of food should be reduced accordingly. Monitor your dog to ensure treat is adequately chewed prior to swallowing. Provide adequate fresh water in a clean container daily. I have one dog who can eat these. She’s a 50 pound pit bull mix. The other two dogs there’s no way they can eat this the size they are. They are mini breed 15 lb dogs. And they are too hard for me to break. I used a small hammer. The big dog will get all of them. Too big and too hard for the little guys. Sorry to say but these were gross and my dogs would not touch them. They had no aroma at all and you would think with bacon as one of the ingredients, they would be quite aromatic and tasty. Even my puppy, who eats anything, refused them!!! They went into the trash!! 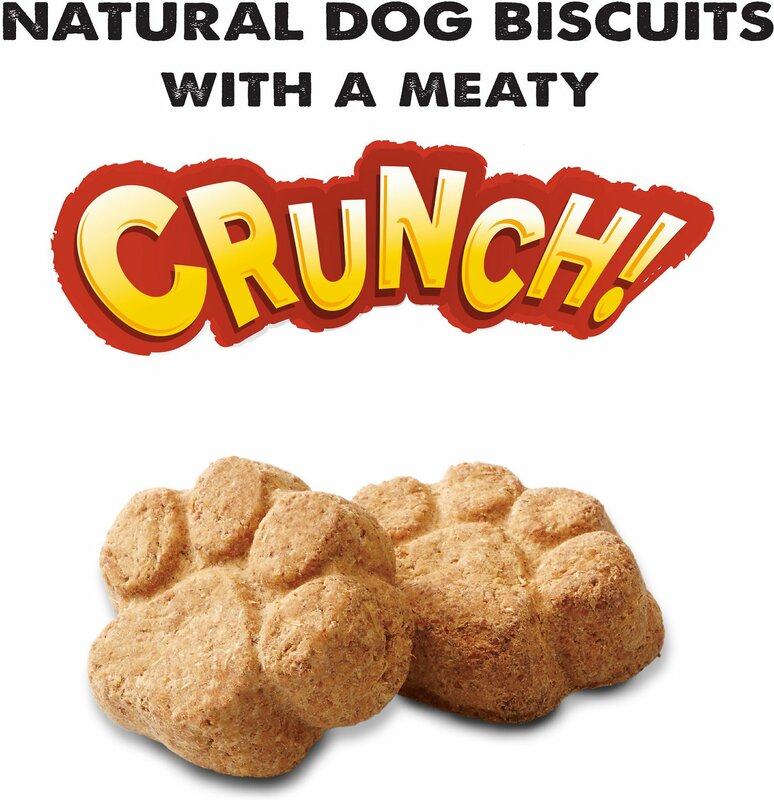 All of my four dogs just love these crunch chicken and bacon dog treats. I can not find them in the food stores where I shop. I will for sure buy them again. The price was reasonable. 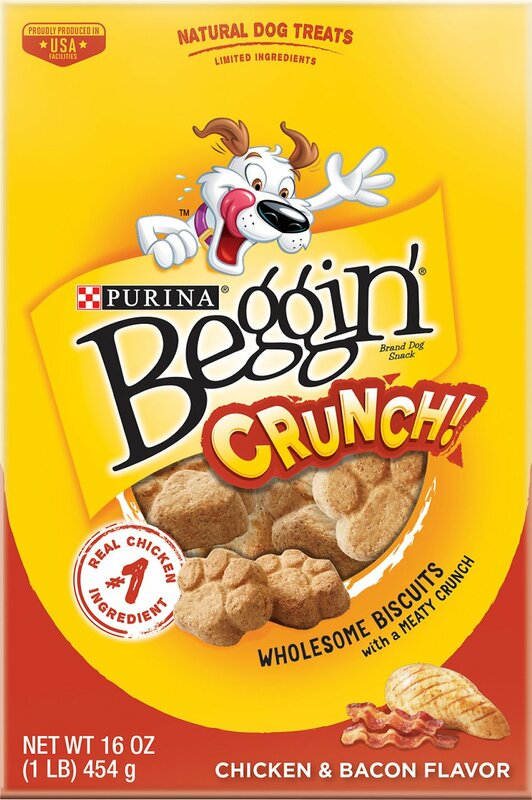 The Beggin’ Crunch Chicken & Bacon dog treats look and smell great but my dog wouldn’t take to the thick biscuit. My beagle loves these! The right size for her and apparently a good taste. I feel good about feeding my little dog these treats and he feels even better!!!! What a delightful way to have treats on hand. Tasty. Convenient.